Well, actually my plan starts with a list of 2018 accomplishments. But the header could have just as easily been “Yee-Haw!” which is defined as “an expression of enthusiasm or exuberance, typically associated with cowboys or rural inhabitants of the southern US.” Although I’m not currently rural, I’m about 20 minutes away from Cave Creek, which is filled with cowboy (and cowgirl) history. In the plan (which is a whopping two pages), I devoted one page to what I accomplished and learned this year and the other to my goals for next year. 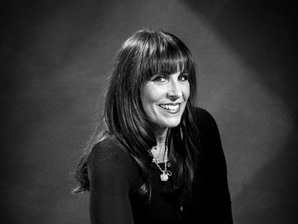 After my move to Arizona in late 2017, I set out to find new relationships (professional and personal), build a new business focused on content marketing and strategic consulting, and generally live a healthy life free of toxic forces, toxic people, and snow. I’m doing pretty well against most of my goals. When the plan for 2019 was drafted, I shared it with a small trusted group on Google Docs to solicit feedback and wisdom. One person got back to me almost immediately. I’ll send a reminder to the others. I know the holiday season is crazy-busy and people may be working on their own plans. Perhaps this post will serve as a gentle shoulder tap, or maybe someone else will volunteer to be a part of my virtual advisory board. 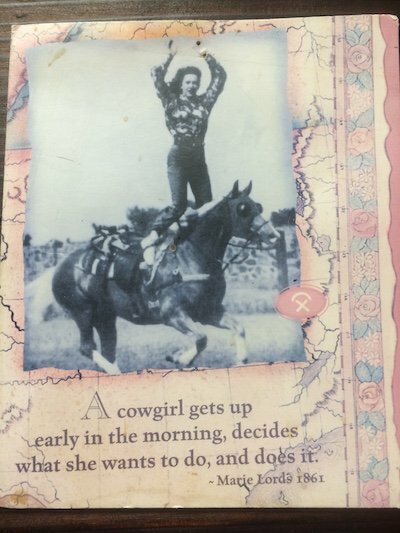 Although I’ve accomplished a lot this past year, I am smart enough to know that every cowgirl needs her posse. I’ve often been alone on the range this year, despite my Yee-Haw-worthy professional feats. My Western analogies seem especially fitting this year. 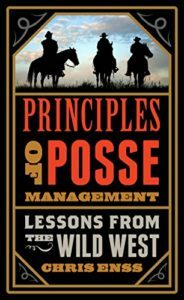 In fact, Chris Enss even wrote a book about posse management as a business methodology. I’m clearly not the only woman who loves cowboy and cowgirl lore and lessons. 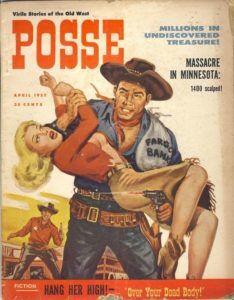 My business posse is not out to get “the bad guys” or to rescue a cowgirl in distress, but rather to shoot holes (metaphorically) in flawed thinking and run bad ideas out of town. So, as you get ready to ride into 2019, corral some other great minds to help you conquer the Wild West (or wherever you happen to be) And, in 2019 you’ll have people to celebrate with around the campfire — rather than sitting alone with the horse you rode in on. Love the cowboy talk! My side business just for fun is “Cowboy Kitty Creations”. Family members do not care for the name but I say giddy up to their thinking! Goal setting is important and reviewing your past achievements and places for improvement are really the way to move forward. Good for you partner!